Japanese fashion designer Chitose Abe has created a niche for self with her urban, sporty and delicately feminine designs. 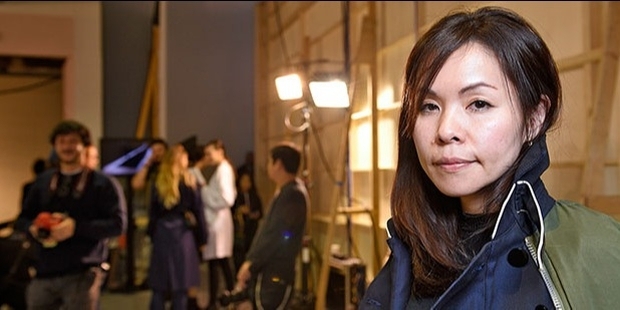 She created her label Sacai in 1999 after 8 long years of working under Junya Watanbe. In a country where the women are marginalised and oppressed, Chitose’s accomplishments are no mean feat. In the last 15 years, Abe has built strong influential figures as her loyal clients, comprising Sarah Mower, Suzy Menkes, Anna Wintour and Karl Lagerfeld. She has designed a creative line-up for NIKE blending her Sacai philosophy since the last couple of years. Her popularity has even influenced the West, Biffi in Milan, Colette in Paris and Joyce in Hong Kong. With 90 plus international stockists around the world, Sacai is a brand to reckon with. Chitose has introduced Sacai Luck for women and men’s lines. “I love to dress up. That is why I could only imagine being a fashion designer. Sacai is all about me,” Abe states. Chitose spent her childhood in the city of Gifu, Japan. Her father was a research engineer. Her mother used to stitch clothes. Abe has an elder sister. Her stint with fashion started at the fashion college Nagoya. Chitose Abe’s first exposure with the fashion world happened when she was hired by the Tokyo-based clothing conglomerate, World. 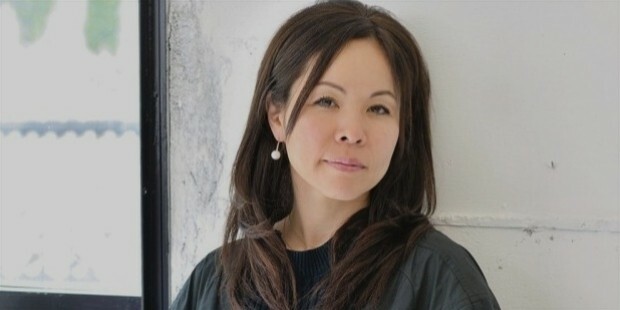 Chitose later joined Comme des Garçons, Japan’s famous design label. She worked with them for eight long years. She initially was trained by Rei Kawakubo as a pattern cutter. Later, she was one among Junya Watanbe’s design team. “Slow and steady wins the race...”- this proverb is befitting of Chitose. Her own fashion label Sacai proved to be a slow burner. Launched in the year 1999, Chitose waited for twelve long years to launch her first show. Chitose has sold her design brand in Barney’s in New York and Colette in Paris. Chitose crafted a capsule collection, Sacai Gem in partnership with her alma mater. The collection is available only through the Comme des Garçons stores in Tokyo and London. Her popularity made Moncler invite her to design a mini-collection for them. Sacai has formed a cult following of its own in the seventeen years of its existence. Her contemporary designs appeal fashionistas owing to their wearability. In 2011 she established her first flagship store in Tokyo. Simultaneously, Abe presented her designs on runway at the Paris Fashion Week for the very first time. Chitose is the only fashion designer of Sacai. She runs a small and controlled operation. Her business has grown considerably over the years. Sacai is spotted in 175 stores across the globe including Dover Street Market, Joyce, Selfridges, Le Bon Marché, Barneys New York and Saks Fifth Avenue. The Joyce Group has partnered with Chitose to start Sacai’s women flagship in Hong Kong. Reaching out towards new horizons, Chitose established a retail office in New York, and a store in Seoul, South Korea. Chitose is married to Junichi Abe, founder-designer of Kolor. Kolor is a collection of sportswear for men and women. They have been married for 16 long years. The couple is blessed with a daughter Tohko.